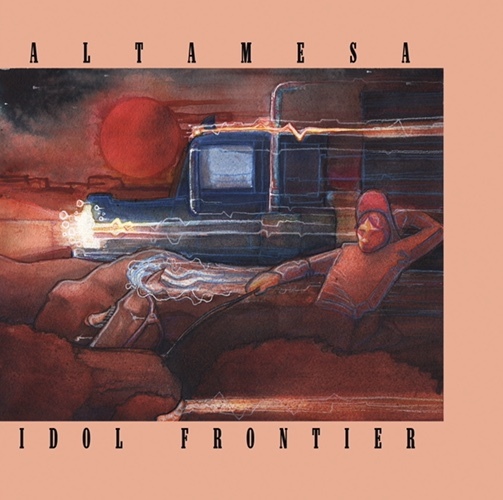 (AUSTIN, TEXAS – Jan. 23, 2019) – Today, Austin-based, Cosmic Americana band Altamesa premieres their single “Idol Frontier” from their upcoming record of the same name with Glide Magazine. The premiere can be found here. The album “Idol Frontier” is set to release this Feb. 8 with a performance at Cheer Up Charlie’s (900 Red River St., Austin, Texas 78701). Altamesa will be joined by Will Courtney and the Wild Bunch, Chief White Lightning and The Ghost Wolves for this show. Doors are at 8 p.m. and Altamesa will play at 11 p.m. Tickets for the evening will be on sale at the door for $5 each. Altamesa is the combined effort of frontman Evan Charles and co-producer/guitar player Sean Faires of The Happen-Ins. The band will also have an in-store at Waterloo Records on Wednesday, Feb. 6 at 6:30 p.m.For more information about Altamesa, please see www.altamesamusic.com, or see the band’s Spotify, Instagram or Facebook. A promo video about the band is available here. Evan Charles released debut LP “The Long Ride Home” under the name Altamesa in 2016 as a solo project to local critical acclaim. However, it wasn’t until finding a musical kinship with The Happen-Ins’ Sean Faires that the project settled into a group and really started to pick up steam. Their collective efforts evoke a unique mix of desolate desert mysticism and contemporary pop and rock sensibilities. 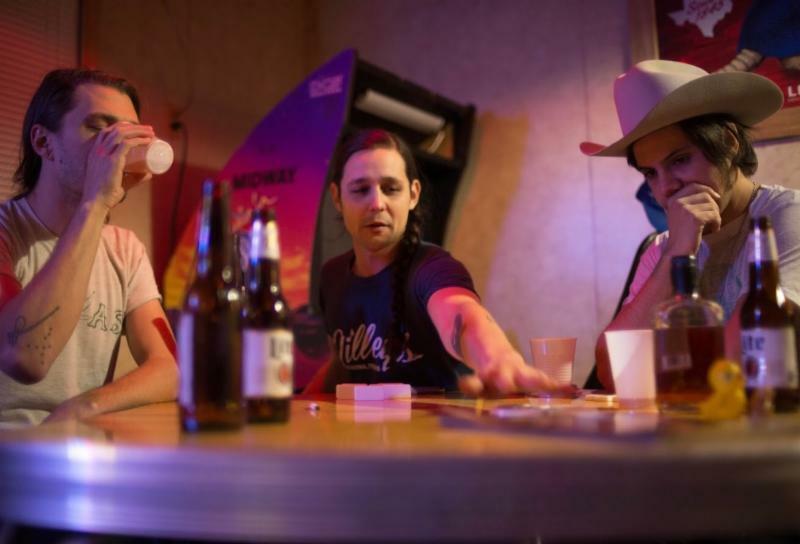 Charles and Faires took to the studio in 2017, resulting in the band’s full-length record “Idol Frontier” a rich, sonic and narrative landscape of nearly cinematic proportions. The duo spent the rest of the year exploring options with regards to releasing the record, and in 2018, decided to put out the album in a series of singles: the first volume, “The New West,” gained regional radio airplay and was featured as one of Austin Chronicle music writer Kevin Curtin’s “Top 10 Local Singles of 2018.” A leaked copy of the record resulted in their invitation to play Luck Reunion during SXSW 2018, an exclusive event featuring Willie Nelson, Kurt Vile, Nathaniel Rateliffe and many others held annually at Willie Nelson’s Luck Ranch in Spicewood, Texas. “Idol Frontier” was recorded in 2016 at the Skeleton Farm Studio in Leander, owned by Aaron Behrens from Ghostland Observatory and The Midnight Stroll, and was mastered at Terra Nova Studios in 2017. The record was co-produced by Sean Faires and Jonas Wilson and features Evan Charles (vocals, guitars), Sean Faires (guitars, backing vocals), Billy Potts of The Black and White Years and Nic Armstrong and the Thieves (drums), Chris Ritchie of Shivery Shakes (bass), Bill Stevenson of Black Joe Lewis and the Honeybears (bass), Z Lynch of Jonathan Tyler, The Tender Things (bass and backing vocals), Jonas Wilson of The Midnight Stroll (keys/synths, percussion), Ricky Ray Jackson of Steve Earle and the Dukes and Phosphorescent (pedal steel) and Kullen Fuchs of Charley Crockett (trumpet). The word Altamesa technically is not a word. Not in English. Not even in Spanish. Loosely interpreted, it could translate to signify a “higher plateau,” an elevated, rarefied vantage point from which to view the surrounding landscape and environment. It was with this interpretation in mind that songwriter Evan Charles lent the Altamesa moniker to a new musical venture in early 2016. The word was intended by Charles to evoke the sprawling desert plains and desolate panoramas of the American West, the setting in which the project found its first inspirational bloom. It was there, in the shadow of the Davis Mountains, that Charles and fellow songwriter Sean Faires first began their long-standing fascination with the wealth of the desert’s silent lore, the beauty and dread of those western badlands and the people that inhabit them. 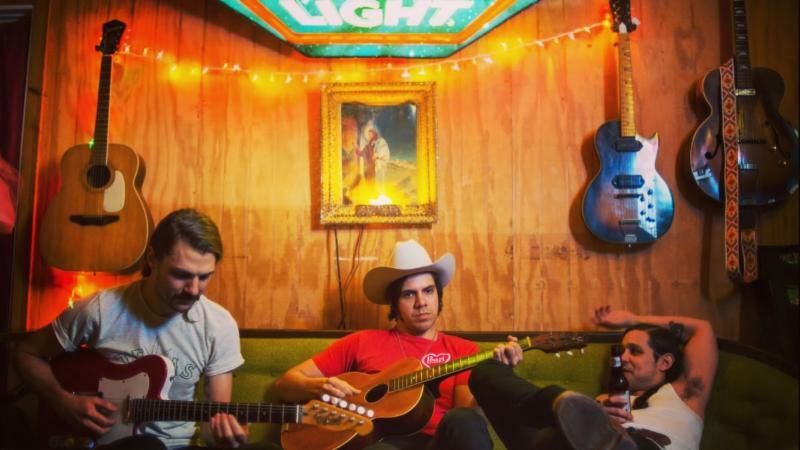 Altamesa has gone on to play Luck Reunion, Splice Records’ River Revival Fest and Viva Big Bend. Their debut record earned four stars in the Austin Chronicle and the band was listed on Austin Chronicle’s 2016 list of Top Ten Locals You Missed. For more information on Altamesa, please see www.altamesamusic.com.